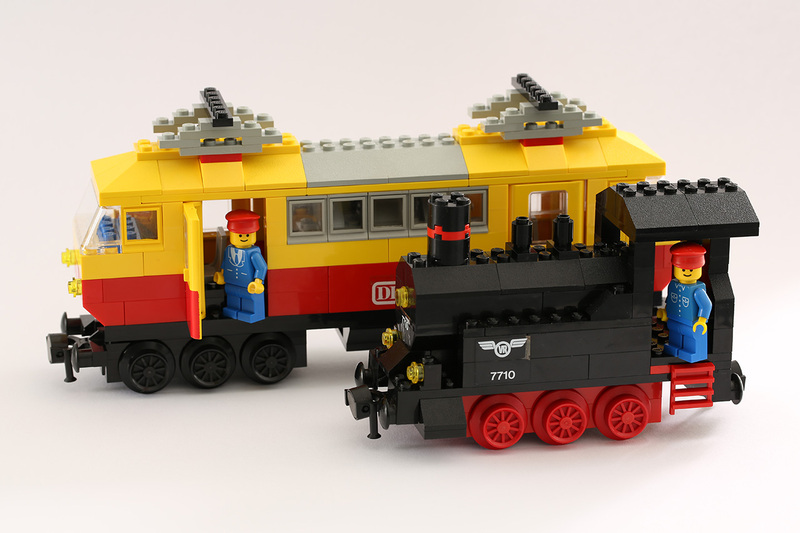 I had the 7710 as a child and featured its locomotive earlier in the 1980 LEGO Trains upgrades story. Now that the 7740 Inter-City Passenger Train is done, I was able to pose the locomotives next to each other. Below is the yellow/red 7740 Inter-City Passenger Train locomotive next to the black 7710 Push-Along Passenger Steam Train locomotive. This picture really tells the story of my reaction to the 7740 Inter-City Passenger Train better than any words would… it is absolutely huge! This was evident from the first moments of building and now that the train is done, with all the weights and wagons, it is even more so.